Hello everyone, here is part 2 in the series discussing the integration options between Configuration Manager and the Microsoft cloud platform. This series based on ConfigMgr current branch 1810 is recorded by @Steve Rachui, a Microsoft principal premier field engineer. This session focuses on Device Health Attestation and the options to use ConfigMgr as a management source for Device Health Attestation data. Steve also discusses troubleshooting. Next in the series, Steve will focus on the benefits, requirements and usage of the Microsoft Store for Business. © Microsoft. This article was originally published by Microsoft’s System Center Configuration Manager Blog. You can find the original article here. 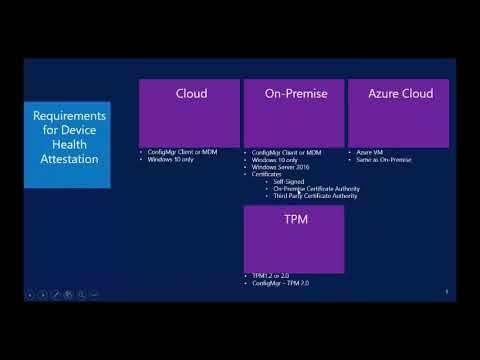 Watch this video to find out about Windows Server 2016 Essentials features and cloud enablement features available in the product.